When I buy Stretch Magic, I do not understand what thickness I should buy to make a stretch bracelet that will not stretch out. I bought .7mm and .5mm/.019 in. I am not sure what I have and if it is good enough. Is there a "go to" that should always work. As the millimeters go lower is that stronger or weaker? I'm working on tying stretch cord for two bracelets I just made and had to find out how to tie the ends. 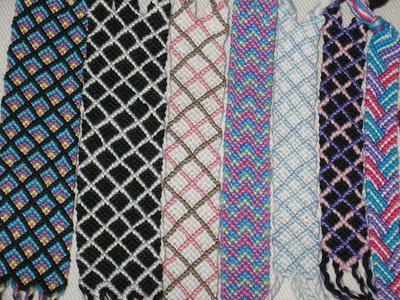 I had heard to use square knots on stretch cord, but now I realize that you need to make two complete square knots, one on top of the other with this material. I tried to send a comment on this subject, but included a website address so I guess that was a no no. I am also learning how to tie stretch cords in making bracelets. I had read to use square knots, which I had tried, unsuccessfully. Then I learned you need to do a square knot, then do a second square knot on top of the first. 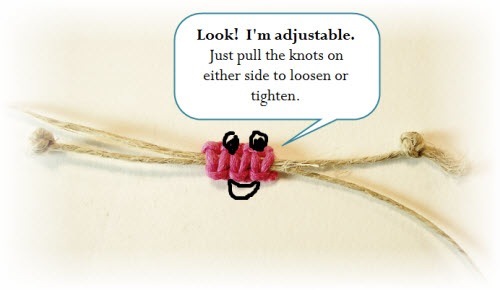 Also, before doing the square knots, stretch the stretch cord out in preparation to doing the knots. The size of the stretch cord depends on the size of the holes in the beads or other items your using. 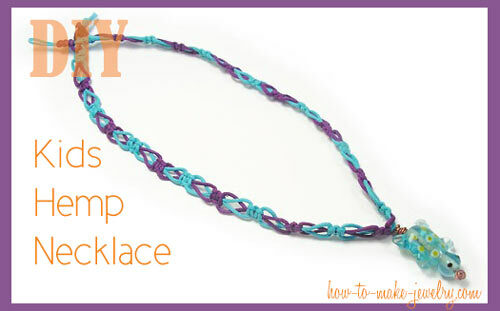 After doing your knots, then use jewelry glue on the knots to seal it off. Let the glue dry for 24 hours. Here's the correct way to tie off your elastic. You need to make a SURGEON'S knot. THEN, put a drop of 2-second glue in the middle, let dry, then tuck the knot inside a bead so no one sees it. To find out how to tie a surgeon's knot, I understand I'm not allowed to direct you to another site, so just look up 'HOW TO MAKE A SURGEON'S KNOT' on you browser and you'll find INCREDIBLY Clear Pictures. Without the glue, 2 square knots will eventually unravel - and with the glue, I'm still not willing to take a chance! !